Limestone B&B is a charming, four seasons, 1860's limestone home, situated in the quaint town of Marmora. This historic home is within walking distance of the river. Make yourself at home on the long covered verandah with abundant seating, extensive deck and pool with surrounding gardens and gazebo. 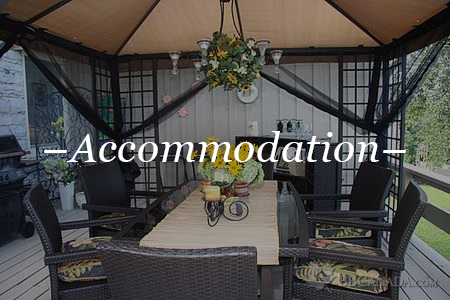 Its close proximity to public tennis courts, ball diamond, beach, park, waterfront trail, Trans Canada Trail, boat launch, restaurants, and shops makes Limestone B&B a popular choice when staying in Marmora. FREE WIFI FOR ALL GUESTS! Please note, if cancelled, modified, or in case of a no-show, 50% of first night will be charged. We're on Tripadvisor, BBCanada, and Booking.com.